New Delhi, Feb 23 (PTI) Indian skipper Manpreet Singh has been honoured with the 2018 Player of the Year award by the Asian Hockey Federation while women's team striker Lalremsiami bagged the Rising Player of The Year prize. 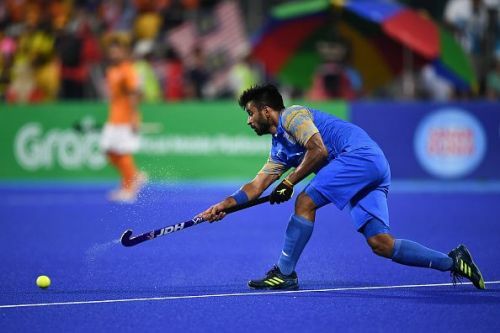 Manpreet led the Indian team to an unbeaten streak at the Asian Champions Trophy in Muscat where the team was declared joint winners with Pakistan. He also contributed to the team's silver medal win at the FIH Champions Trophy in Breda and continues to remain instrumental in the Indian midfield. The 18-year-old Lalremsiami, on the other hand, has shown remarkable progress in the women's team with her impressive performance as a striker at the 2018 World Cup, the Asian Games where the team won a historic silver. She was also a part of the Youth Olympics in Buenos Aires where the under-18 team won a silver. The Indian men's team was awarded the Best Performance of The Year for being the only Asian side to have reached the top eight at the World Cup in Bhubaneswar. The team also came up with a historic silver medal feat at the FIH Champions Trophy in Breda, repeating its success from the 2016 edition.